It’s that time of year again. 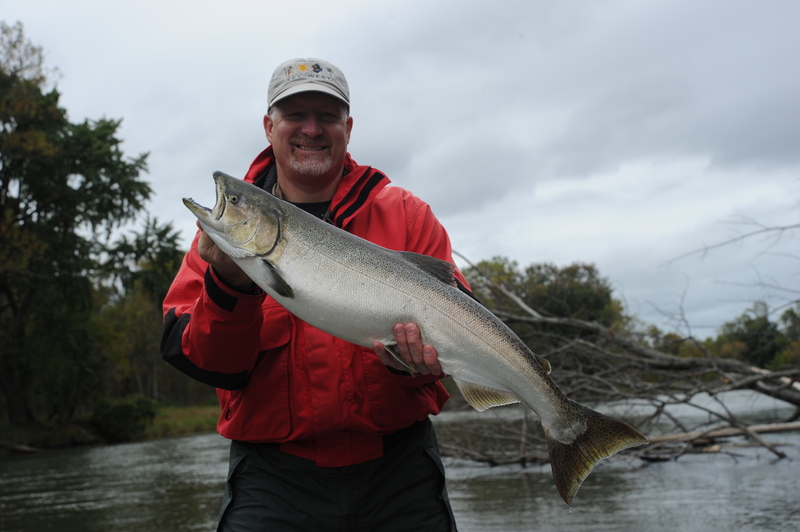 For us northern anglers, mid-November is the time where our bass fishing is winding down, and we start thinking about putting the gear away for an all-too-long winter. Many of us are thinking of tree stands and the deer rut, which here in the Traverse City, Michigan area, is in full swing. 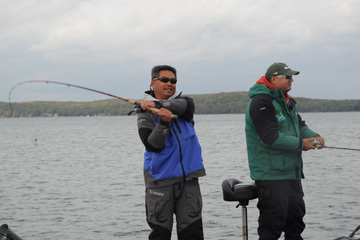 My guide season with Traverse City Bass Guide Service is now finished for the year, and I am extremely thankful to all of my terrific customers for another busy, booked and fun season out on the Grand Traverse Bays and area inland lakes. We caught a lot of smallmouth (many of which were truly huge), shared a lot of stories and laughs and every single one of my customers was a pleasure to have aboard. I mean it—I’m not just being nice. Being booked almost every single day of the 5+ month long season is certainly something that I am thankful for this coming Thanksgiving. On another note, I can’t believe that Thanksgiving is next week already! Yikes! I’ve written about it before, but one of the most important things for my customer’s on-going success and me is equipment that is in perfect working order. 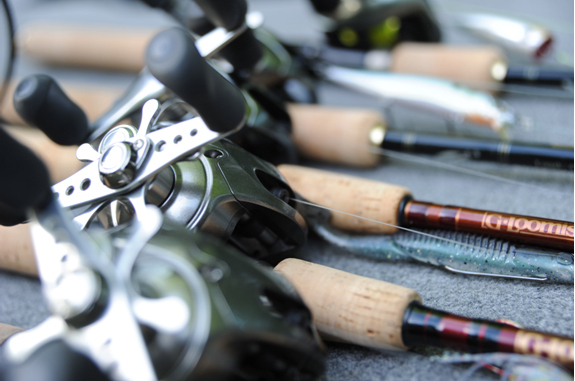 I take the reels off of my rods, and carefully spin each reel to make sure that it is as smooth as possible. I visually inspect each reel, looking for dust, grime, sand and whatever else that might hinder a reel’s smooth operation. My equipment should never be the reason why things don’t go our way on the water, and this reel inspection is something that has become routine for me at the close of each season. I sort each reel into one of 3 categories. Those that are in clean, smooth working order (likely those that only saw action a couple of times, spending the vast bulk of the season in my Ranger Z-520’s big rod locker); those that need a little light cleaning that I can do in my shop; and those that need some repair or more in-depth maintenance. 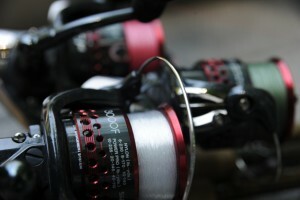 Using exclusively Shimano reels, to me, means that I have fewer hassles in general, but also being on their guide/pro staff means that I have the luxury of using newer equipment than many. Despite this, I still try to take the best care of my equipment that I can. For those that need more maintenance than I can do easily in my shop, I send them out to a qualified reel repair company, and set down to do the task of cleaning and lubricating the ones that I can do myself. Once this simple task is done, I always make sure that I leave the drag on each reel very loose. I don’t want excess tension on the drag, which will put undue pressure and wear and tear. This will also help prevent a “sticky” drag, where certain portions of the drag stick. 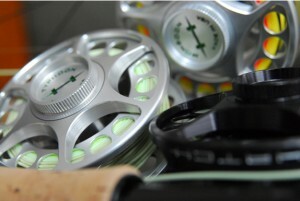 I want each reel’s drag to be silky smooth, with no hesitations or sticky spots. By loosening the drag between fishing seasons, I can help to ensure this. 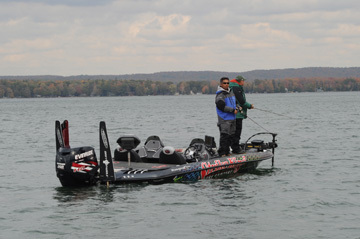 Of course, remember to tighten those drags when you do get out on the water next spring! 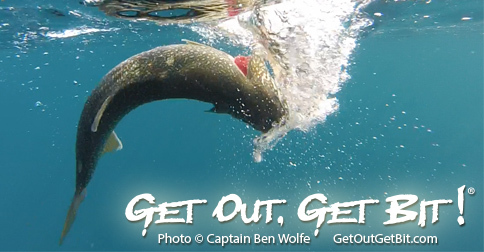 There are few other great ways to start a string of four letter words than by trying to set the hook on a trophy bass in the spring only to find that the drag wasn’t set! Trust me on this!!! I’m a fanatic about pink!